Thanksgiving is a true family holiday for folks in Oklahoma City, the chance to enjoy a huge meal with loved ones, do a little shopping, prepare for the upcoming Christmas season and give thanks for all of our blessings. This is your Thanksgiving in Oklahoma City headquarters. Get information for nearly every aspect of the holiday, from food and shopping to events and travel. 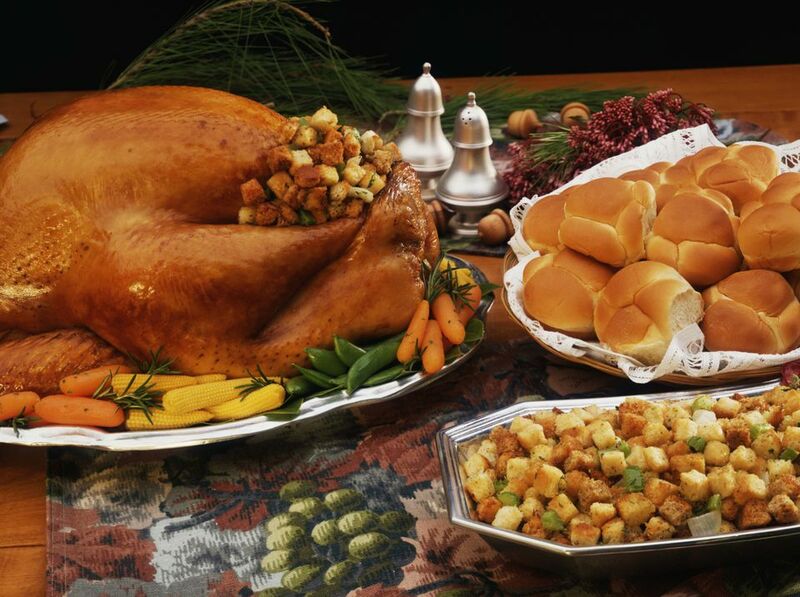 A large family feast is one of the great traditions on Thanksgiving. Whether it be the traditional turkey and pumpkin pie or something different, Thanksgiving is a time to enjoy food with loved ones. Examine prices and experiences of the best spots for Thanksgiving grocery shopping in OKC. If you want the big Thanksgiving meal but don't or can't cook, check with the restaurants that offer Thanksgiving dinners. And last but not least, you can always head out to eat on Thanksgiving. Check the restaurants open on Thanksgiving. Next to the mammoth meals, the kick-off of the holiday shopping season may be the thing most synonymous with Thanksgiving and the days immediately following. These days, the words "Black Friday" are essentially obsolete, as the big sales begin on Thanksgiving itself. Visit the holiday pop-up shops in Midtown. Consider unique gift options for OKC residents, Thunder fans, OU fans and OSU fans. Make things easier on yourself by buying up plenty of great gift cards in OKC. And if all that doesn't do it, just shop until you drop at the Outlet Shoppes of OKC, Quail Springs Mall, Penn Square Mall, Plaza Mayor or Sooner Mall. If the turkey hasn't put you to sleep, get out of the house with the family and experience all the season as to offer in Oklahoma City. Many of the Downtown in December festivities typically begin at Thanksgiving. Holiday light displays are up and running all around the metro. The OKC Thunder likely has a home game right around the holiday. Check the November Event Calendar for other metro activities. Whether you're heading to a family member's house for Thanksgiving dinner, making your way around the metro shopping or coming into town for one of the events noted above, be safe and knowledgeable with your travels. Check what highway or road impediments may slow you down. Make sure you know the major OKC roads and highways. See any congestion on OKC traffic cameras. Make Oklahoma highway travel easier with a Pikepass. Or if flying, get to know Will Rogers Airport. Many people use Thanksgiving weekend as the kickoff to the Christmas season, preparing their decorations and planning holiday-themed December happenings. Head to a metro area Christmas tree farm to pick out that perfect tree. Learn how to dispose of the tree after Christmas. Plan to procrastinate and make your schedule for last-minute shopping. Thanksgiving is a wonderful family holiday and the start to the wondrous holiday season in Oklahoma City, but there's a lot to keep your mind busy or frazzle your nerves during as well. Worry not, though, and just take everything step by step for Thanksgiving.